Barrel boardroom table with V-base legs. 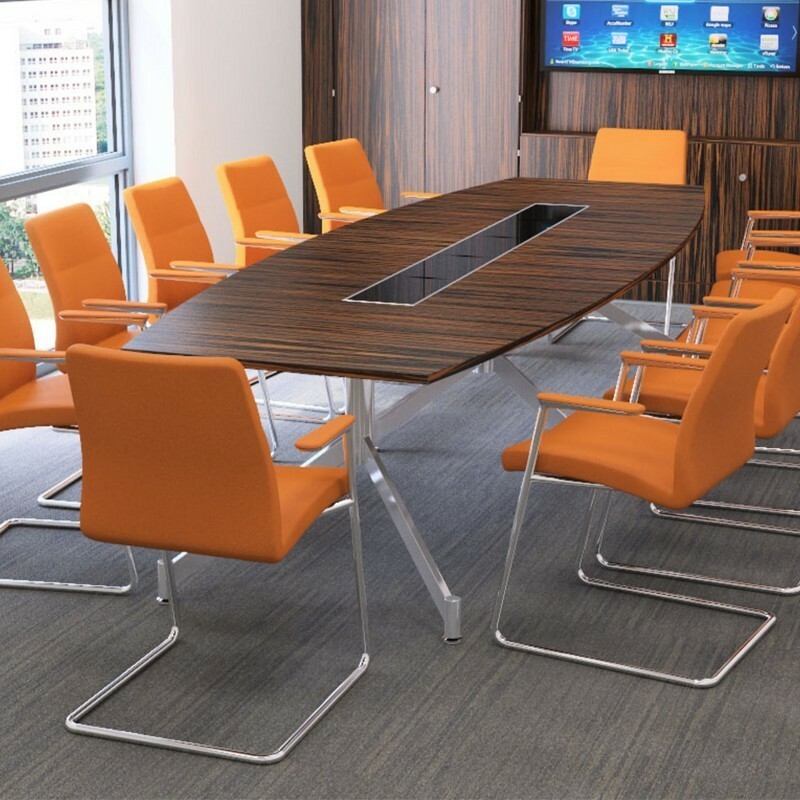 The Christiansen V-base Barrel Table offers an effective scalable solution up to 5m. This fantastic high end boardroom table can sit up 16 people. Optional cable management also available. Glass cable tray sold separately from an extra £481 at 2.5m to an extra £1404 at 5m wide, call 0131 554 7564 for more information.